This unique Black Gold Angel's Heart July Ring was carefully handcrafted to captivate your heart. It is laden with a heart-shaped three lab created ruby stone. 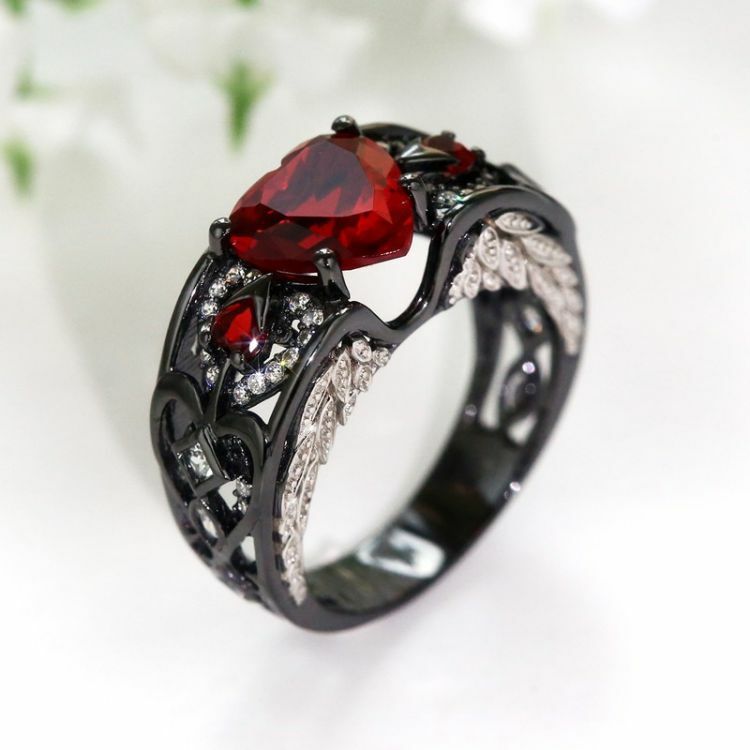 It is exquisite and eye-catching established with crystal stones and set in a black gold filled ring. Ruby was considered the stone of love, energy, passion, power, and a zest for life. Like no other gemstone in the world, Ruby is the perfect symbol for powerful feelings. Show your love to the special July baby you love!